Do you often find yourself pounding your head and feeling frustrated when hearing about others making a killing in their online business while you can’t understand why you’re not able to do the same? How agitating is it to write content that doesn’t convert? Are you feeling in over your head and confused about how to make things work online with your business? 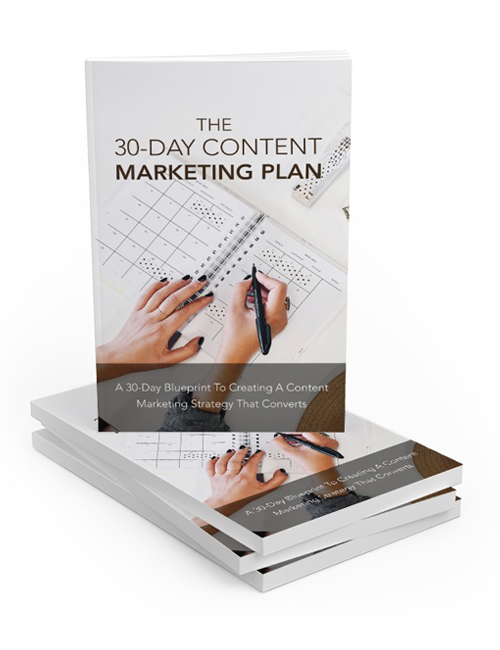 If so then The 30 Day Content Marketing Plan is an essential guide that you must download. This course has been built to get you real results with real-life tactics that are used by elite marketers. You’ll discover how to go from a confused beginner to a top level content marketing master in no time, how to build relationships with influencers and experts in your industry to skyrocket your business, how to build amazing content and make push it to reach your goals, the essential WordPress plugins to help your content marketing strategy, how to create an amazing funnel for your content, how to repurpose your content and get amazing backlinks to boost your business further and much more. The only world moves fast and the search engines love content. There’s a reason why they say that content is king. When you master the art of creating world class content, you’re already in a winning position. With this 30 day plan, you’ll be competing with the elite in your industry and moving to the top of the food chain before soon as long as you stick to the plan. This ebook is accompanied by the 30 Day Content Marketing Plan video series so make sure you get the full package now.